Dance photography is one of my real passions in photography. Im not a dancer, never was, never will be. I got into it by accident, a friend was dancing in a production and asked me to take a few shots, I got chatting to the artistic director and they gave me an opportunity to shoot their production and I’ve been with them 6 years now. 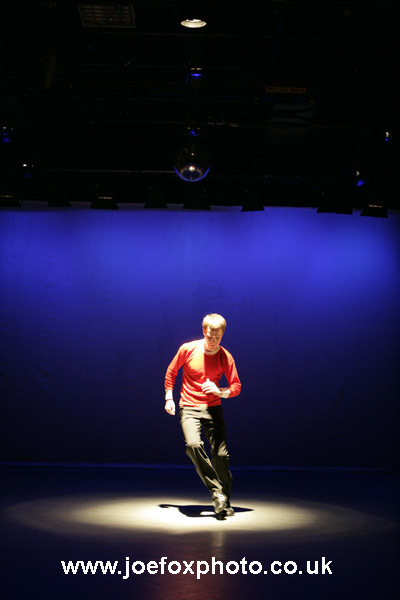 Ive expanded to other forms of dance and other companies ranging from 6 year old kids up to people wayy past pension age (which I hope they dont mind me saying). 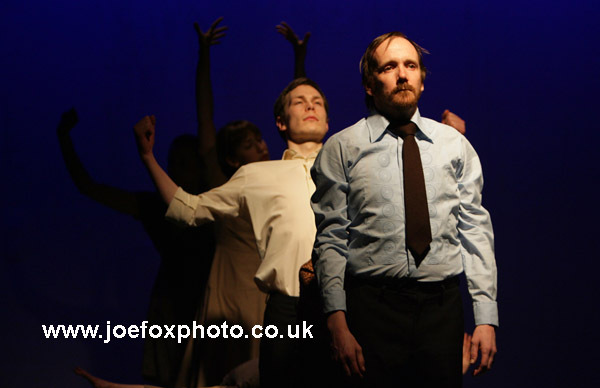 Theres something about it, its the movement, the flow, the telling of a story with just movement of the body. Its the only part of my job which has actually left me with a tear in my eye. Its more than just art, to use a well worn quote, its poetry in motion and this production married dance with another art form that I am passionate about, football. Technically its the most challenging photography I do, often you are shooting in conditions that a bat wouldnt be able to see in. Getting pin sharp images is normally what photography is all about, in this case as with other art forms its not about that, its about capturing the movement, the flow, the idea, the story. I try to avoid setups, I see them too often and in most cases they are soulless. No motion, no lead into a piece and no lead out of a piece, just static. I’ve done them for poster and promo work and to be honest Id rather do a themed shot for a promo than mimic a movement from a piece. For me, real dance photography can be a period of weeks, charting the progress, having it explained to me, having it explained to me again 😉 leading up to the one chance in full dress rehearsals to get the photos that I hope do the piece justice. In many cases its then a quick selection and get the event printer cranked up to put a selection of shots which dont give away any twists and turns up on the entrance foyer walls. For professional productions this is icing on the cake, for productions involving kids who maybe have worked all year for this moment and are now performing in a concert hall they probably couldnt afford to buy the tickets for, its momentous. 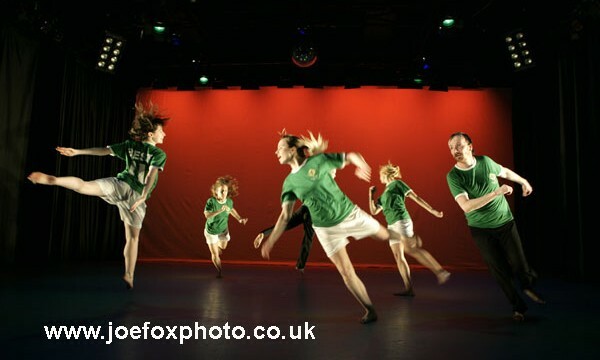 Many parents see their kids in a different light with those photos and for many its the start of something big, for more than that its the one day in their life they performed on the waterfront hall stage, equally momentous and equally life changing. Its difficult, very difficult, both technically and for the production companies. Particularly in times of recession, the arts funding gets cut and people see it as an easy cut. In school curriculums theres little slack as it is so lets cut the art/dance/music budget. I remember very little about passing my O levels, remember very little about my A levels or indeed getting each of my two degrees. I do remember taking part on stage of the rock nativity in the Lyric Theatre with my sister in 1977 when I was 7 and she was 5. In our wee aran jumpers which was our ‘dressed up’ clothes, doing a circle walk with other kids in front of a packed audience of hundreds. If Id never done anything else remarkable in my life, I’d have done that. 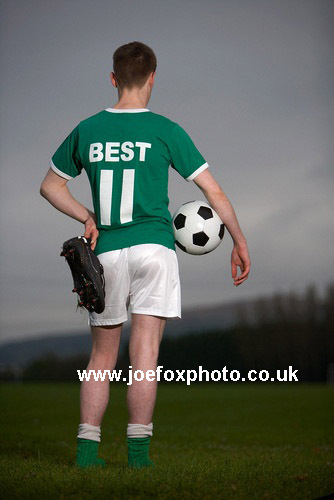 So when I got a chance to do some promo photos for Maiden Voyage’s latest production of ‘Best’ I was all ears. 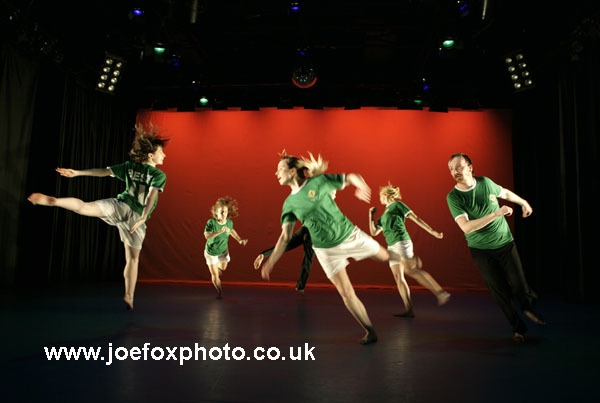 A dance production representing the early days of George Best, up to the time of his testamonial at Windsor Park. I am too young to remember George Best, other than the latter years and the only real interaction was sadly photographing his funeral but I remember my dads face telling me about him and how gutted I was when I went to England for the summer to try and get a summer job before going to uni and missed the testamonial at home. The middle of November isnt a great time to try and do outdoor football shoots and it was interesting, I went out to source the props and try and find some football gear (black boots, long shorts, plain green or red top) suitable for the promo material. If all else failed we could turn my 1977 replica liverpool football shirt back to front and make a 1977 man united one. I managed to track down some souvenir shirts that had been produced with Best 11 on the back of them in the old Northern Ireland style. I phoned the artistic director and she went down and bought the remainders. All odd sizes and none fitted so the costume designer would have their work cut out for them. After a lot of kicking balls about an empty playing fields we had a shot and off we went. I disappeared off to Argentina with the return date booked to give me time to see some walkthroughs, rehearsals and then set up for the dress and production. Im not going to tell the story, in fact its all out there. Theres only one night left and thats in Downpatrick this Friday night. I’ll be there for the closing show, if you google a maiden voyage best and bbc ni you should see the short interview piece with the choreographer Andy. Why Andy labours on George Best eating muesli is anyones guess but it gives a view on the piece. Media interest has been worldwide with a correspondent from Brazil attending the opening night and a good review in the Irish Times. I think this is a show that could tour and certainly the interest in George Best himself could see the performance being taken to the likes of Manchester, Glasgow, Dublin etc. So what did I think of it, well normally I dont get to see the pieces, I concentrate on little pieces, the poses and poise of the dancers, where they position themselves on the floor, where Im likely to get the best angles, trying not to end up in a heap on a dark floor or cause any distractions. I remember little snippets, little sections of dance, bits that stand out from a dance, choreographic or photographic point of view. Only when you sit back, put the cameras away and watch the show do you get the whole picture. I did mention earlier that the show brought a tear to my eye, and it wasnt until they played the George Best interview with Gay Byrne on the late late show towards the end of the piece. (google it). It goes something along the lines of ‘I hope at the end of the day, all the rubbish they have read about me, the women and the cars and the gambling, the booze, whatever, that thats the one thing they will always remember, they cant take that away from me.’I came home, made a sandwich, and spent an hour on youtube watching all the tricks, all the dance pieces and choreography of someone with born natural talent, a dancer wearing football boots. And do you know what, they cant take that away from him. The George Best Foundation website is here. They also have a facebook site. Maiden Voyage Dance is here.